The weather sure has not felt like it and I don't think it will for the next week or two, but it's officially Fall!! 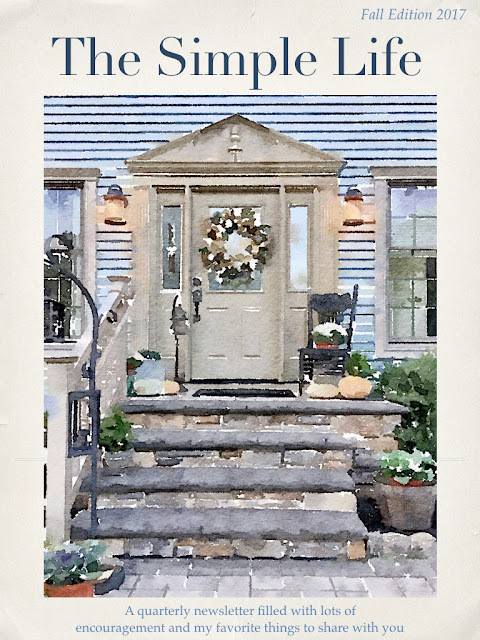 In hopes that things will start to cool down soon, I bring you the Fall Edition of my Newsletter, The Simple Life. It's filled with the latest and greatest to get you in the mood for Fall. I have really enjoyed putting these Newsletters together! To grab a free copy, click the download button below. And if you missed the Premiere Issue, you can download it here ---> The Simple Life: Summer Edition. 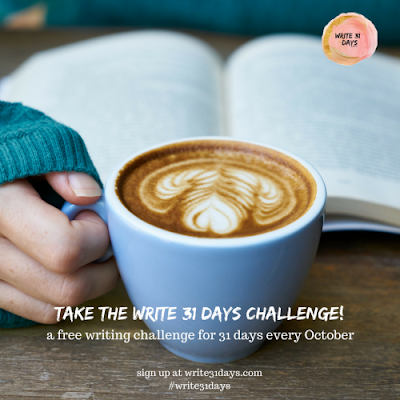 Be sure to check back, this Saturday, for all the details on this year's Write 31 Days Challenge! This is such fun challenge that I have participated in, for the past 3 Octobers. I will be talking to you about the topic I chose for this year, plus a little twist on how I will be participating. If you are interested in joining along with tons of fabulous other writers/bloggers, click the photo below for all the details. I will be kicking off the writing challenge with my "5 Days of Fall Favs" giveaway. A little incentive to get you started and hopefully you will continue to follow along with me for the whole month of October. Here's to a fabulous Fall season filled with lots of love, hope, joy, and peace! !